If you'd like to sweeten your event even more, this option is the one for you. 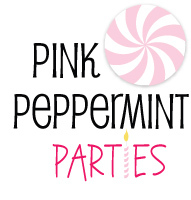 In addition to your custom Party Plan complete with links to buy as described in our Just a Taste Package, we'll also include divine inspirations that hit us at 3:30 in the morning for fare, favors or party fun. We thrive on this stuff. We can't turn it off! And as the ideas keep coming to us, we'll keep passing them along to you. If you are interested in getting crafty yourself, we can help you make that happen as well. You simply provide us with the delicious details (type, venue, scoop on the guest(s) of honor and other pertinent info) by leaving it in the comments section at checkout. If we need seconds, we'll email you a basic questionnaire. We estimate you will receive your custom Double Scoop Party Plan via email in ten business days or less from the time we receive your party details. And those added strokes of party genius-we'll do our best to send those during normal waking hours.